A four course beer pairing dinner, was served to fifty enthusiastic guests at Gathering Together Farm in Philomath on Saturday August 21st, 2010. 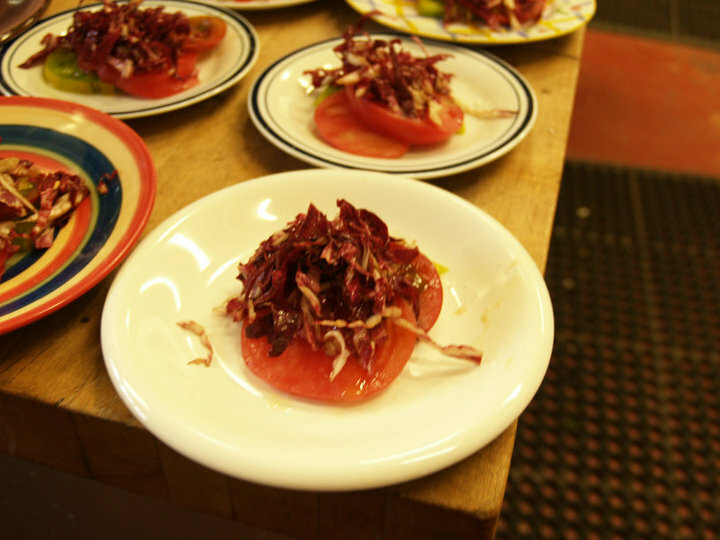 In addition to a mouth-watering meal and fine company, the meal ticket price included a donation to Slow Food Corvallis to help fund travel expenses to Terra Madre for Chef JC Mersmann of Gathering Together Farm and Restaurant. Terra Madre is an international network of food producers, cooks, educators and students from 150 countries who are united by a common goal of global sustainability in food. The “food communities” of Terra Madre gather together every two years to share innovative solutions and traditions for keeping small-scale agriculture and sustainable food production alive and well. Terra Madre 2010 will be held in Turin, Italy in late October. John and Sally are two of fewer than 500 US delegates selected from over 1000 applicants, and JC was selected as an observer to the event. 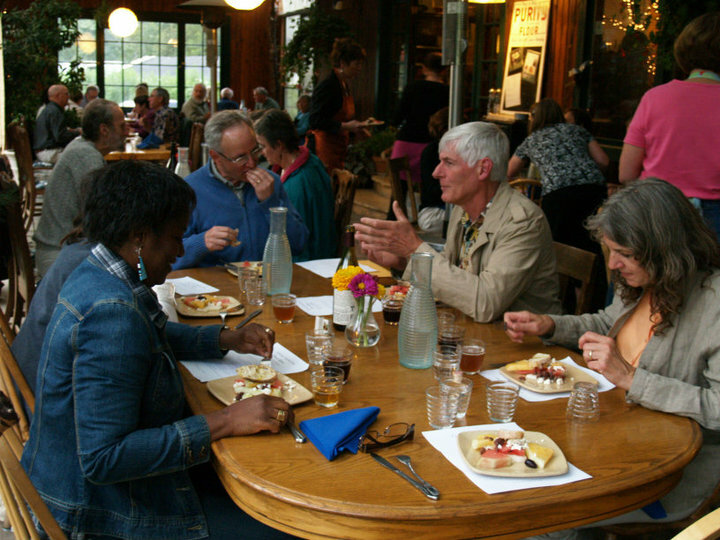 Slow Food Corvallis joined with Gathering Together Farm to present the dinner, which was prepared by GTF sous-chef Brad Burnheimer. He also selected a different Oregon beer to pair with each course. Pairing of the menu items with different locally produced beers produced a surprising and delightful experience. 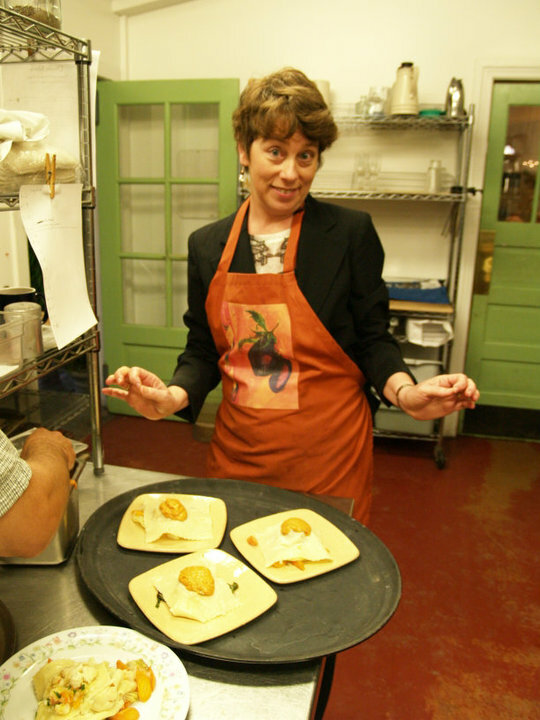 ***If you were unable to participate in the dinner, but would like to make a tax deductible donation to support our Terra Madre participants, you may send a check for any amount made payable to Slow Food Corvallis, to: Anne White, treasurer; Slow Food Corvallis; PO Box 835; Corvallis OR 97339- 0835. Please write Terra Madre in the memo line, and indicate if you would like to have a receipt mailed to you.